Has your company considered the dangers of toxic and natural gases? Methane and hydrogen can be very harmful; such combustible gases can lead to deadly explosions. Chlorine and carbon monoxide are a serious risk for employees and customers due to their toxic nature. Even gases such as nitrogen can lead to asphyxiation from oxygen displacement. These gases can be prevalent in industrial facilities, so protection and detection in these areas are paramount. Of course, these gases are not equals, so gas detection systems need to be customized to fit the specific protection needs of customers. M&L Technical Systems has partnered with Honeywell Analytics to bring gas detection solutions, including standalone sensor modules, that can be integrated into the user’s life-safety and control systems, including fire alarm, BMS, and PLC systems. The Honeywell Analytics Gas Detection systems are extremely flexible and simple to operate. They can be customized for multiple levels of alarm based on volume or LEL (lower explosive limit). 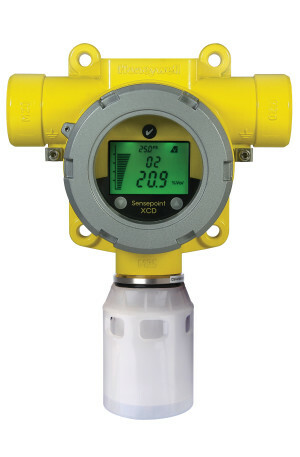 This wide platform of gas detection systems allows us the flexibility to meet all of our customers’ needs.